Join us this week as we welcome county music singer songwriter, Cooper Boone. In a short time Cooper Boone, a singer-songwriter, performer, chef, online video star and clinical psychologist has earned some solid accolades. 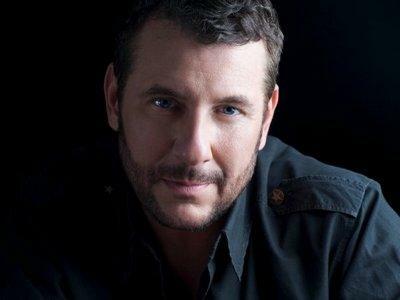 Cooper Boone is a multiple nominee and winner for Best Country Artist at the Hollywood Music Awards, along with an Independent Music Award (IMA) and an Independent Singer-Songwriter (ISSA) award. Cooper has shared the stage with Craig Morgan, Trace Adkins, Angela Kaset (“Something in Red”), Anthony Krizan (Spin Doctors) and Bucky Covington. His online show, Cooper's Kitchen, has been a huge hit, allowing him to spend time with celebrity entertainers like Paula Deen, Tyler Florence, The Neely's, Julie Roberts and Trisha Yearwood to name a few. We will talk to Cooper about his upcoming schedule, get a behind the scenes look at his music, feature his latest songs and ask him to share his efforts to support the troops. Please be sure to visit Cooper Boone at http://cooperboone.com/ and spread the word. Fans are welcome to call in and chat live with Cooper during the show. If you would like to participate in the live chat during the show, you must sign up on the show site first and then log in during the show. More great music for a really great cause! And as always we will give shout outs to our deployed military listeners. This is sure to be a terrific show so be sure to join us, Sunday February 26th 2012 at 4:00 PM EST! Our message to the troops....WE do what we do, because YOU do what you do.